Definition at line 4645 of file CCopasiXMLParser.h. Definition at line 4652 of file CCopasiXMLParser.h. 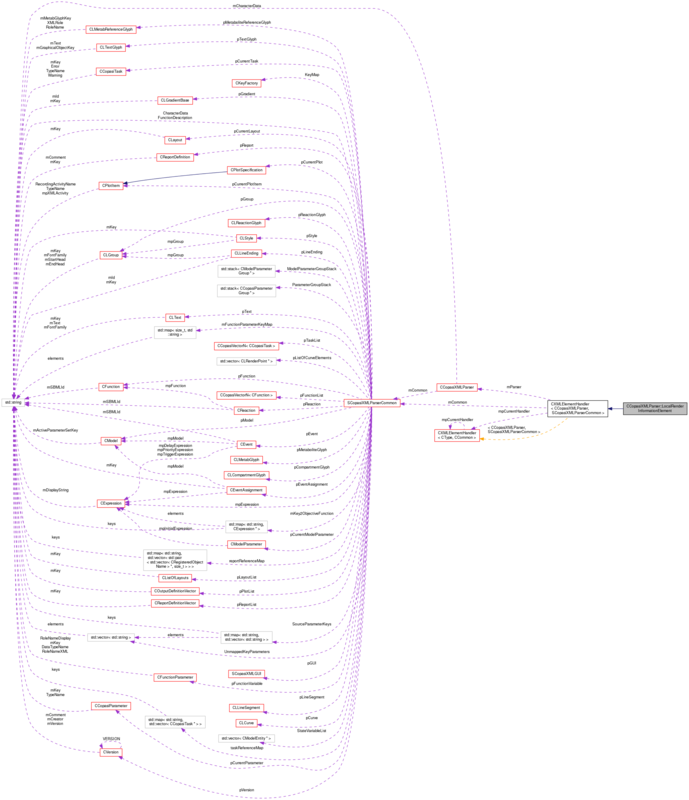 Definition at line 14304 of file CCopasiXMLParser.cpp. Definition at line 14309 of file CCopasiXMLParser.cpp. Definition at line 14407 of file CCopasiXMLParser.cpp. 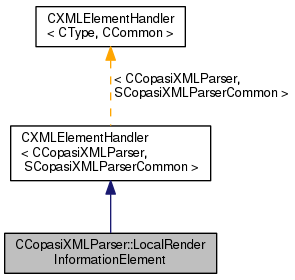 References CCopasiMessage::EXCEPTION, CCopasiXMLParser::mCommon, MCXML, CExpatTemplate< CExpat >::mParser, SCopasiXMLParserCommon::pRenderInformation, START_ELEMENT, and UNKNOWN_ELEMENT. Definition at line 14312 of file CCopasiXMLParser.cpp. References CLayout::addLocalRenderInformation(), CCopasiMessage::EXCEPTION, CLayout::getListOfLocalRenderInformationObjects(), CCopasiXMLParser::mCommon, MCXML, CExpatTemplate< CExpat >::mParser, SCopasiXMLParserCommon::pCurrentLayout, SCopasiXMLParserCommon::pRenderInformation, CLRenderInformationBase::setBackgroundColor(), CCopasiVector< T >::size(), and UNKNOWN_ELEMENT.